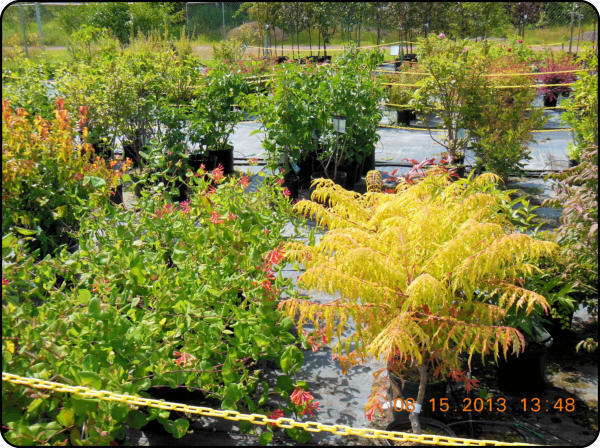 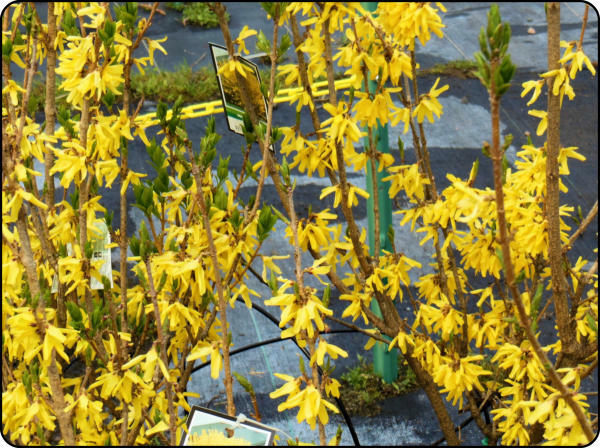 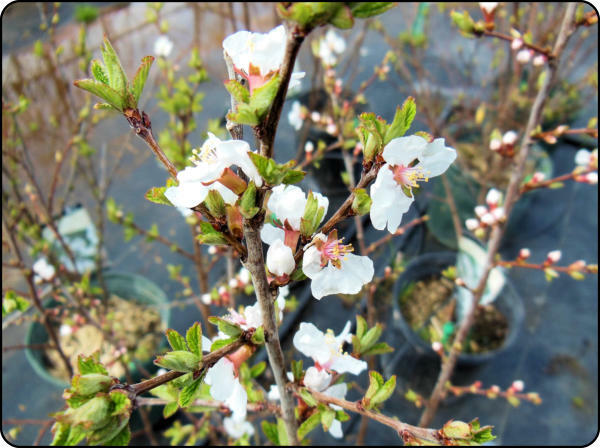 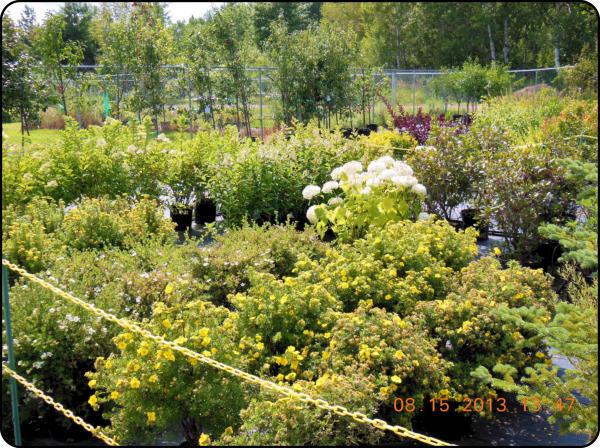 We carry all northern grown, Zone-Hardy trees and shrubs including: Maple, Birch, Mountain Ash, Blue Beech, Hawthorn, Japanese Tree Lilac, and Flowering Crab. 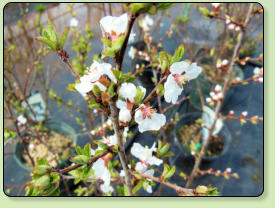 Fruit trees include: Apple (up to 18 varieties), Cherry, Pear and Plum. 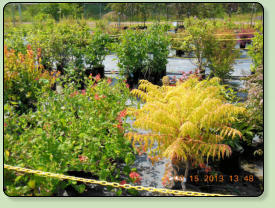 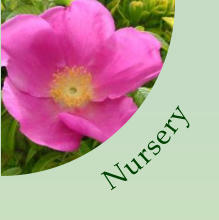 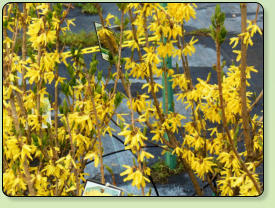 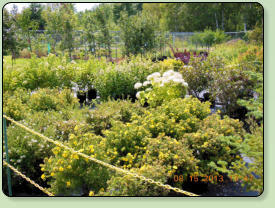 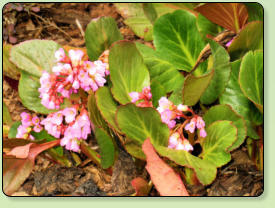 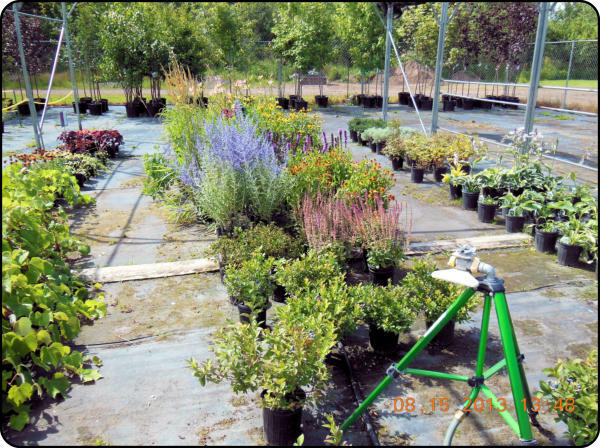 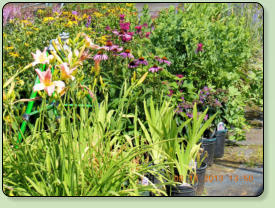 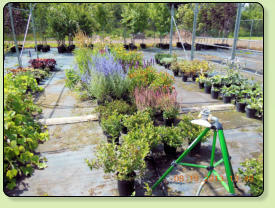 We also carry a very large assortment of shrubs and roses, Blueberries, Grapes, Raspberries, and Rhubarb. 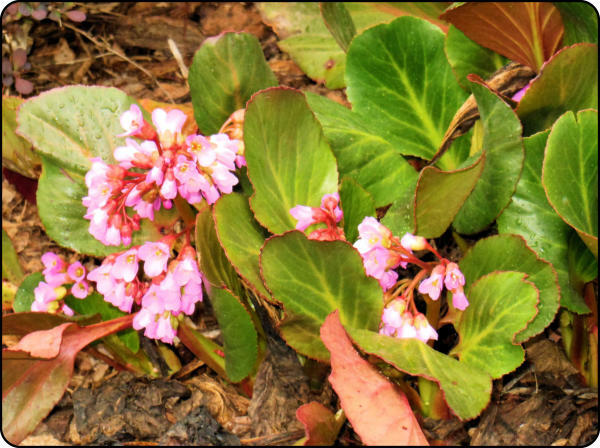 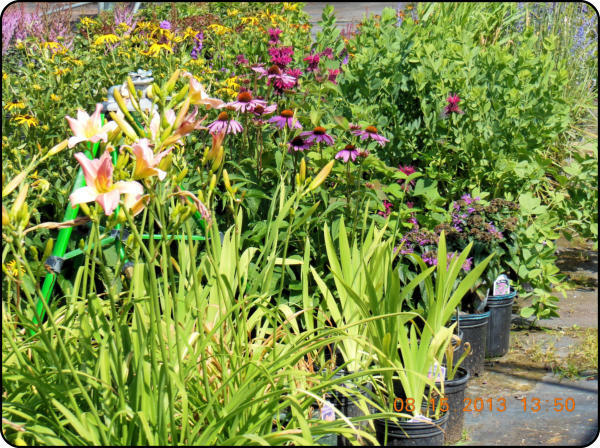 To attract birds and butterflies, or to give your garden an extra splash of color, we carry over 40 varieties of Perennial Flowers which are grown in a 1 gallon pot so that they are well established plants.